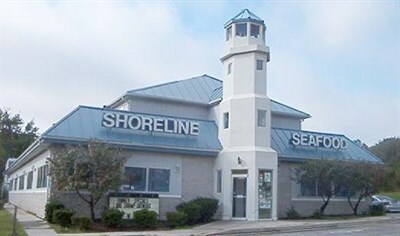 Photo Credit: Shoreline Seafood Inc.
A seafood market with a full carryout menu of live & steamed crabs, fresh fish, and more. On the Maryland Crab and Oyster Trail. Sun-Mon, 11am-8pm; Wed-Thur,11am-8pm; Fri, 11am-9pm; Sat,10am-9pm.